Elsa/Getty ImagesFormer Donald Trump presidential campaign manager Paul Manafort looks on during Game Four of the American League Championship Series at Yankee Stadium on October 17, 2017 in the Bronx borough of New York City. 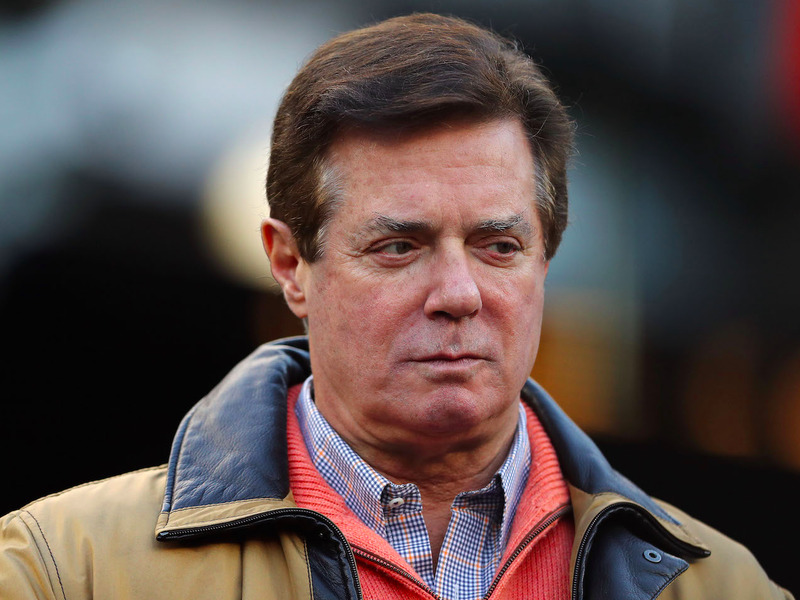 President Donald Trump’s former campaign chairman Paul Manafort has been indicted as part of special counsel Robert Mueller’s investigation. The conspiracy charge is tied to other allegations of tax fraud and money laundering. Of the 12 charges in the indictment, issued by a grand jury as part of special counsel Robert Mueller’s investigation, the “conspiracy” charge quickly gained attention amid other chargers of tax fraud and money laundering. The conspiracy charge doesn’t have any direct connection to Mueller’s investigation into whether the Trump campaign colluded with Russia during the 2016 election. Rather, it is a general charge stemming from any joint effort to defraud the US and is tied to the allegations involving Manafort’s and Gates’ money. More simply, it’s a “conspiracy” because the charges involve two or more people. Notably, the indictment doesn’t mention the Trump campaign. The statute is also listed under related penalties to general fraud on the IRS website.